This year we have decided to make a Christmas Eve box for our toddler! She is getting to an age now where she’s starting to understand what is going on so I wanted to give this new tradition a whirl. I first saw this box in Matalan at the start of November and fell in love with it! It was priced at £12 and is a really thick, heavy chest. It even has a little latch on the front. Typically, when I came to buy it at the start of December everywhere had sold out! I ended up travelling to a Matalan store over 25 miles away as they had 4 left in stock. It was worth it as it’s so sturdy I’m going to reuse it every year. It’s currently sold out online but you can see the information about it here. What goes inside the box? At first I was a bit stuck about what to put inside, eventually I settled on a mixture of activities for us to do during the day and then some cosy things for the evening. It’s an unwritten rule that you need new pyjamas on Christmas eve. These pyjamas were going in and out of stock at Asda for days before I managed to order a pair. They were priced at £6 and are a lovely thick fabric. I managed to order quite a few bits last year in the new year sales. Its a Christmas miracle that I managed to remember where I hid them – I still can’t find the advent calendar I bought in October! (Update – I have since found it 4 days into December at her nanas!). Mugs – I bought these for 50p from Matalan last Christmas. I just need some hot chocolate and marshmallows now to go with them! How are we giving the box? My plan is to put the box under the tree on Christmas eve morning. I’m hoping to be able to hide it again after bedtime on Christmas eve however I think that depends on how much of a meltdown i’m having putting together a play kitchen! I’m really hoping it goes down well – i’ve loved gathering the different bits and pieces! I spoke to some other parents about what they put in their Christmas eve box – it’s filled me lots of ideas for next year! 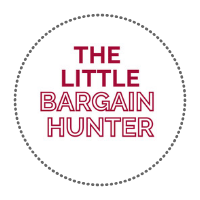 Sarah at Hello Baby has a lovely post about different items to include – it’s definitely worth a read! Kerry at Blissful Domestication said they include PJs, a Christmas book, a Christmas film with a family box of maltesers, a bottle of Prosecco for Mum &Dad, magic reindeer food, and a special plate to leave Santa’s mince pie on! Catherine at Passports and Adventures has listed what they included in their box last year – it looks fabulous! I love the idea of a new tree ornament. Emma at Emma and the girls includes pj’s, slippers, mugs, hot chocolate, marshmallows, DVD, reindeer dust and pop corn! Laura at Five Little Doves has a beautiful themes Snowman and the Snowdog box – the biscuit is definitely too good to eat! Veronica from My Parenting Journey hasn’t made her box yet but hopes to include their favourite brands of chocolates (a must), personally written cards for each other, small-themed gifts (something long, something funny); and board games for the whole family. It’s part of her advocacy to relieve the old times and not rely on technology all the time. Sarah at Boo Roo and Tiger Too has a great idea of including something to wear, something to watch, something to read, something to eat and something for Santa to leave presents in! Helen from Treasure Every Moment has some beautiful items for her little ones first Christmas!